A secret fact-finding mission to Fiji has concluded that the rule of law ‘no longer operates’ in the country. The independence of the judiciary ‘cannot be relied upon’ and ‘there is no freedom of expression’, council member and Law Society Charity chair Nigel Dodds reports in Fiji: The Rule of Law Lost. Dodds visited Fiji on a tourist visa in late 2011. Following a 2006 coup, ruled illegal by its court of appeal in 2009, Fiji is ruled by decree through emergency measures renewed every 30 days. The Pacific country of 850,000 people is currently suspended from the Commonwealth. The report claims that Fiji’s attorney general, Aiyaz Sayed-Khaiyum, has been central to ending the rule of law by limiting the power of the courts and ending the independence of legal sector regulation. Fiji’s president, Ratu Josefa Iloilo, revoked all judicial appointments in 2009. Meanwhile, the country’s largest commercial law firm, Munro Leys, once thegovernment of Fiji’s main provider of legal services, no longer receives government instructions, independent sources told Dodds. The 2009 Administration of Justice Act removed the jurisdiction of the court to hear or determine a challenge to any government action. This has now been supplemented with a practice direction, seen by Dodds, pinned to the walls of the courts, noting that the chief registrar will terminate any such case that slips through the net. Previously criticised by the Law Society in open correspondence, a professional accreditation regime remains in place whereby the government issues practising certificates, Dodds reports. In 2011 the government refused to permit Fiji’s Law Society to hold its annual meeting. Dodds’ subterfuge was deemed necessary following the refusal of the Fiji government to admit an International Bar Association delegation to the country in 2009. He funded the trip personally. Fiji’s High Commission did not provide a comment on the report in the time available. The Rule of Law no longer operates in Fiji, the Law Society Charity (Charity) has found following a visit to Fiji in November 2011. It also concluded that there is no peaceful and lawful way to challenge government decisions, no democracy, that the independence of the judiciary cannot be relied on, that the competence and independence of the prosecution service has been reduced to an unacceptable level, and that the government controls and restrictions make it virtually impossible for an independent legal profession to function appropriately. The Rule of Law Lost, the Charity considers the effect on the Rule of Law in Fiji of the events of 2009 and beyond. Of particular concern was the Administration of Justice Decree 2009, which removed “the jurisdiction of the Courts to accept, hear and determine, or in any other way, entertain, any challenges whatsoever (including any application for judicial review) by any person to the validity or legality of any Decrees made by the President as from 10 April 2009” (at 5.5). Also of concern were the Public Emergency Regulations which were first imposed in April 2009, and which have been extended every 30 days by the Government since that date. Under the Regulations, the State has control over the movement of every person, the release of press statements, publications, and broadcasts of all media outlets, every gathering of three or more persons, and meetings or processions in public places. The Charity became involved in the issues affecting Fiji’s legal profession andjudici ary, and the Rule of Law, following a request by the Commonwealth Law Association for its support in enabling the attendance of former Fiji Law Society President Graham Leung at the Commonwealth Law Conference in Hyderabad in February 2011. Both Leung and the Charity were asked to address the Conference on issues relating to the Rule of Law in Fiji, with the Charity addressing the issue of the dismissal of the greater part of the Fijian judiciary and the removal from the Fijian Law Society of the registration of lawyers. Aware the Fijian Government had denied access to the UN Rapporteur to investigate matters in 2009 as well as a delegation from the International Bar Association, the 3Charity took advantage of its Chair’s private visit to Fiji between 13 and 18 November last year to investigate the issues for itself. “The focus of the report was to be on what action could be taken by external law societies and bar associations to support the Rule of Law in Fiji,” it said at 3.3. The Charity noted that the Regulations made it difficult to investigate, as a permit was required for any meeting involving more than three persons. “[H]ence an interview could not take place with more than two individuals at a time,” it said at 4.1. The Charity also noted that a notice is posted to the walls of the Courts stating that “no proceedings challenging the constitutionality of the Government’s acts can be issued” (at 5.6). With respect to the registration of lawyers, the Charity found that the implementation of the Legal Practitioners Decree 2009 denuded the Law Society of the power to register lawyers, with the power given to the Chief Registrar, the first of whom under the Decree was a former Senior Legal Officer with the Fiji military. 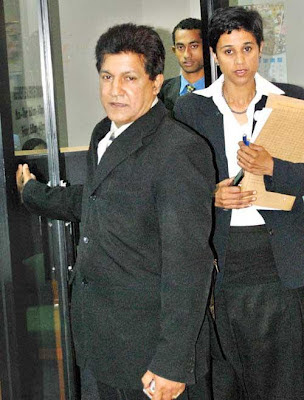 On 23 May 2009, Major Ana Rokomokoti removed the files of the Fiji Law Society after threatening to arrest staff if they did not hand over the files. “This was despite the offer of an orderly handover by the Society,” said the Charity at 8.3. Since 15 June 2009, all lawyers have to have the approval of a government official in order to practice. Rokomokoti’s lack of independence was underlined, said the Charity, when she was arbitrarily removed from office on 25 June 2011. Her replacement is a Sri Lankan on a three-year contract, although the Charity noted that her tenure “is entirely at the will of the Government” (at 8.4). Of the 300 or so legal practitioners practising in Fiji at the time the Decree was implemented, only one – Leung – took a stand and refused to apply for a practising certificate. “He is now an exile being unable to work as a lawyer in Fiji,” said the Charity at 8.6. The Charity noted that while there may have been dissatisfaction with the previous legal complaints regime – over issues of delay, for instance – there were problems with the current regime, especially with respect to cases involving the Government directly or indirectly, or where the lawyer concerned opposed the Government, or was involved in a case or had a client in which the Government perceives an interest. The Commissioner was also regarded as a supporter of the Regime, with the Society noting at 9.6 that “his acceptance of the post in any event calls into question his independence of it”. It also noted that the control of the prosecution system by the Chief Registrar makes it susceptible to government interference. The Charity also considered the role of prosecutors under the new regime, and the impact of the series of dismissals of prosecutors since the “long-standing and respected” Director of Public Prosecutions (DPP) Josaia Naigulevu was dismissed along with the judiciary in April 2009. Jinasena was sacked and ordered to leave Fiji on 24 November – due to “lack of confidence by the police” (at 12.8). She has since been replaced by New Zealand lawyer Christopher Pryde (who was previously Solicitor General). 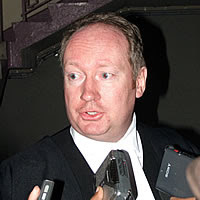 The Charity found that Chief Justice Gates had used his personal connections with Sri Lanka to recruit Sri Lankan judges in large numbers on short-term, renewable contracts. “The quality is held to be variable. Maintaining independence from government in their position must be difficult,” it said at 13.6. The Charity noted in its report that these appointments are now being considered by a subcommittee set up by the Commonwealth Law Conference. “The Law Society of England and Wales and the Bar Council reaffirm their recognition of the Law Society of Fiji as the representative organisation of the Fijian Legal Profession and urges this position upon the International Associations on which they are represented. “The Law Society of England and Wales seeks British Government funding to provide capacity building to the Fiji Law Society in relation to the registration and discipline of lawyers such assistance to be offered on a government-togovernment basis. national associations to do likewise. “All national and international law society and bar associations urge their member firms to resist efforts to discriminate against individual firms in Fiji in transactions in which the member firms are involved. reviewed under home bar rules and urges its membership organisations to do likewise and further considers how the issue may be addressed in Sri Lanka. “The Bar Council in England and Wales and the Inns review the membership and qualifications of those holding office under the Regime and consider whether they continue to be justified and that other national organisations dolikewis e.
Editor's Note: The above articles are posted on the new website of the Council for a Democratic Fiji(CFDF). The group launched the site just over a week ago. Hit the link below to take you to it. 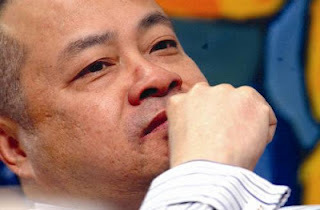 Graham Leung>> for PRIME MINISTER : a man a great integrity!! Graham LEUNG>> for Prime Minister : a great man of integrity!! If The Charity wants a second opinion suggest they contact Chief Justice French - Australian High Court. Fiji Law Society was a nest of vipers that should never be brought together ever again unless the lawyers of Fiji can get together to actually do something worthy for this country. They have sucked long and deep from the inefficiencies of the system. G Leung has had his snout in there with the best of them. It seams the only lawyers in the world worthy of calling themselves lawyers are in Pakistan. right or wrong they put their bodies on the line like normal common human beings. They get my respect for that. Fiji lawyers are extreme elitist that have zero love of country or justice. @ 7.13p.m. I'm sorry that you've had bad experiences with lawyers. Yes, they're not a perfect bunch and like all organisations there will always be the rotten apples that give the others a bad name. As for Graham, I like him very much and hold a lot of respect for him as a professional. I don't know him that well on a personal level since we don't move in the same circles (he's much more senior than me) but on the occasional professional social meets that I've had the pleasure of engaging with him - he's been nothing short of a complete gentleman, totally courteous, warm, intelligent, witty, funny, engaging, down-to-earth and very direct - all the traits that I love in a person - what you see is what you get. We need to re-establish the rule of law in Fiji. The problem was not the system, the problem was corruption and lethargy had penetrated the infrastructure that was allowed to snowball and corrode the columns the held it all up. Those individuals holding key positions, responsible for the upkeep of the system were sleeping on the job and were complacent.Some compromised their duties due to ignorance. Some who were key guardians, like the army (mataivalu-ni-soli-sona) totally turned their backs on their sacred role of upholding and defending the structures of democracy and freedom.Now, we have the nightmarish situation where the Fijian army is killing, harrassing and depriving citizens of their rights that was once taken for granted. We need to re-establish the rule of law in Fiji as this mode of government is our tradition. It is the only method that can ensure harmony, justice, freedom, and equality. But it needs to be respected and sustainned by committed people, educated people who understand its value as a concept which promotes the maximum justice for all.Importantly, a free media must be allowed as it plays a vital role as a public watchdog, in exposing corruption and mal-practice.We need to also be on the alert to where the system is breaking down and take corrective measures. The 1997 constitution, has all the rules checks and balances that are needed to run a successfull nation like Fiji. The problem was never the rules, the problem was bad behaviour, particularly from people entrusted as guardians.To break the pattern of coups, we need also for an interim period, to appoint expatriate commanders of the police and army. The canidates must also come from a robust liberal democracy, not someone from corrupt places like China, India, Indonesia or Syria.Also, Bani, Nailatikau and a few others must be hanged up at the camp in Nabua, before the army, as a deterrent.Afterwards, the road to the army camp should then be renamed "Hangman's Road". Fiji Law Society-did some good work in the past but things changed when it became partly politicised, i may be wrong!But soem case got years to sort out especially wehn it related to compalints and action taken against lawyers especially when its high profile ones like Qoroniasi Bale! There are also other cases in the same mold. Graham Leung is in a the class of a "FEW"-guts and determination coupled with the wisdom and courage & maturity! Pity we did not have a single politician who could have done the same.In the Qarase era we had zero! The only other one that comes to mind but was in another era was Jai Ram Reddy. Says a lot of our Politicians and the people who we elect to represent us and we seriously should ask of ourselves firstly have we erred in our picking of people to represent us in Parliament or does it reflect our own "true" values as oposed to our pretend "values; we put out into the public arena! Much as we like to write about the crazyness of Frank and others we seem to forget what got us here in the first place- so my question is have we learnt anything so far? DRi yani! Let's be frank. One could point to any large group of attorneys and find plenty of 'vipers'. The nature of the profession tends to attract sociopaths. Also, the adversarial nature of most Western legal systems virtually requires attorneys to be able to argue all sides of any issue. This does not relieve them of ethical standards. Quite to the contrary, it requires them to establish and rigorously self-enforce the highest ethical standards. The attorney-general and chief justice have oversight roles, but they should/should be acting to promote judicial independence. The law societies of other Commonwealth countries should consider disbarring members who take up appointments in Fiji, and in any regime suspended from the Commonwealth, if they adjudge those members' actions prejudicial to the independent functioning of that nation's judiciary. We've all seen lawyers who used their positions to do some reprehensible things. In today's Fiji, Aiyaz and Pryde spring instantly to mind, and they're only the tip of the iceberg. But Fiji also has -- or had-- attorneys of integrity, including, certainly, Graham Leung. These people have stood up for Fiji and put their careers on the line in myriad ways. If you don't see that, you simply haven't been paying attention. The fact that they're not presently in one of Bainimarama's gaols isn't attributable to any lack of integrity but to their political skill and practical discretion, and God's grace. Graham Leung is, indeed, worthy of consideration for prime minister. He's INFINITELY more qualified than the incumbent, whose high treason fits him only for the office of Inmate Number One. But the effectiveness of a PM often hinges on his ability to make compromises and to accept moral shades of grey -- not to be confused with abandonment of principle. Accordingly, I consider that Leung's uncompromising personal integrity and strong sense of professionalism and morality might better suit him to the role of attorney-general. Graham Leung as attorney-general vice Aiyaz Sayed-Khaiyum would hugely benefit Fiji. The nation would be guarded by a moral giant, instead of preyed upon by a moral midget. Fijians should begin assembling a virtual shadow government now, on-line, rather than continue to supplicate a tyrant for what is theirs by birthright. I encourage C4.5 readers to continue putting forward names of those who should be asked to lead a unified opposition and to restore Fiji to representative government. @ secretadmirer12:37...sounds like you want to date Graham. He does like to turn around you know. Who is responsible for our injustice system? And I do not speak of the system as it is now but has been for more than 30 years. It has always been inefficient and corrupt, and the supposed honest have supped from this cup equally as the dishonest. The dishonest are excused as they are true to type, so where does this leave "the supposed honest". Not that this would be a concern of lawyers. only a family man shud be PM.....role models should be all rounders not just those with worldly knowledge! GET THE DRIFT??? There's saying in law community...A lawyer can only be of two extremes, be it an alcoholic or gay...Cna't trust a lawyer to be PM...Qarase still the PM by law.. Anonymous 12:15 pm said "only a family man should be Pm"-well we sure had that in Rabuka where did it get us-even had the audacity to quote the Bible to justfy his womanising! So on that basis alone your suggestions gets a big fat zero out of a 100! What we need are sincere and honest people not those that say one thing and do another and they easy to KNOW-if we only care to observe them-problem is we all too worried about playing the race game to notice the con artists amongst us -just because he/she goes to Church should mean nothing! I'm a lawyer and I'm neither of those extremes. You have trust issues and that's okay but please work on them instead of projecting them on to others. Qarase aside for a minute, do you think Graham would make a great PM? Hear! Hear! @ Anon 4.47pm. Having had dealings with a total of four lawyers over 8 years, only one has not ripped me off yet.